The Digital Leadership Institute Board and Executive Team are actively involved in outreach activities with partners and stakeholders around the world that promote ESTEAM* leadership by girls and women. Find out about our outreach activities of September and October below, and please visit our calendar for events organised by DLI. 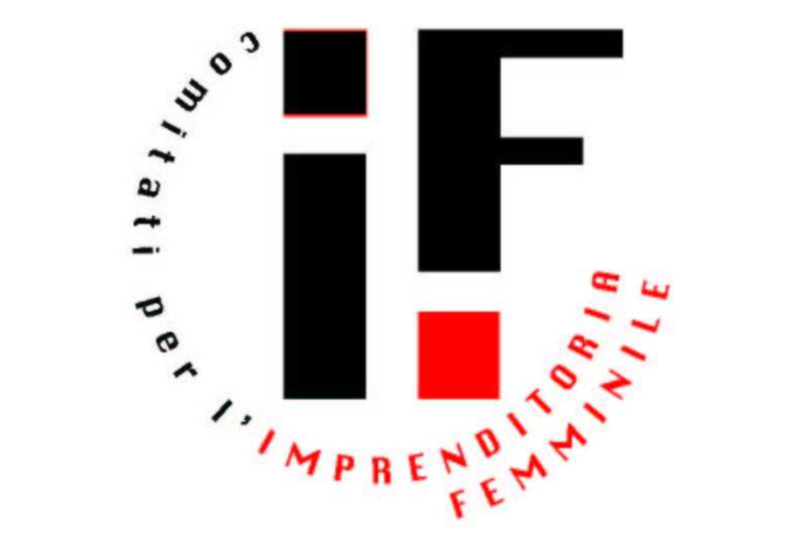 11 September – Chamber of Commerce (Turin, Italy): On 11 September in Turin, Italy, Ms. Cheryl Miller, DLI Founding Director, joined an international working group hosted by the Chamber of Commerce – Women in Business Committee, to examine “opportunities for digitalization to promote women’s empowerment.” Results of the roundtable will be published and promoted to European stakeholders, including the European Commission. 13 September – Women Entrepreneurship Platform AGM (Brussels): On 13 September in Brussels, Ms. Cheryl Miller, DLI Founder, joined the Board Meeting of the Women Entrepreneurship Platform. 17 September – Digital Skills and Jobs Governing Board Meeting (Brussels): On 17 September at the European Commission in Brussels, Ms. Cheryl Miller, DLI Founder, joined the fourth meeting of the Governing Board of the Digital Skills and Jobs Coalition of Europe of which she is a member. 18 September – Women Entrepreneurs in Horizon 2020 (Brussels): On 18 September in Brussels, Ms. Cheryl Miller, DLI Founding Director, gave a presentation on “women entrepreneurs in the digital economy,” including best practices and challenges they face, in the context of an event hosted by the EMPOWA project – aiming to enhance activities by women entrepreneurs in Horizon 2020. 24 September – 1st Annual Meeting of the Interest Group on Women Entrepreneurship, European Parliament (Brussels): At the European Parliament in Brussels on 24 September, Ms. Cheryl Miller, DLI Founding Director, joined the 1st Annual Meeting of the Interest Group on Women Entrepreneurship, hosted by Ms. Sirpa Pietikainen MEP, IGWE Chair, with the Women Entrepreneurship Platform. 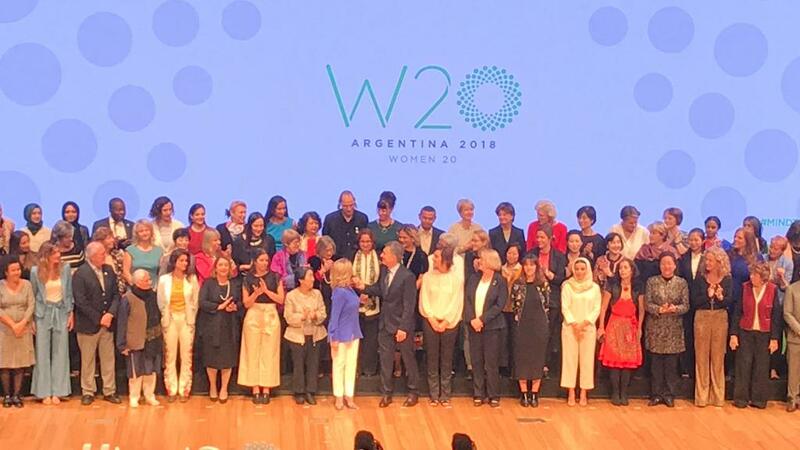 1-3 October – W20 Summit (Buenos Aires, Argentina): Ms. Cheryl Miller, DLI Founding Director, joined the W20 Summit, taking place on 1-3 October, as part of the 2018 G20 in Argentina. Cheryl is member of the EU delegation contributing to the international dialogue on the topics of Digital Inclusion, Financial Inclusion, Labor Inclusion and Rural Development. 9 October – “Portray Her: Representations of Women STEM Characters in Media” (Los Angeles): On 9 October, Ms. Cheryl Miller, DLI Founding Director, joined a Global Symposium on Gender in Media entitled “Portray Her: Representations of Women STEM Characters in Media,” hosted by the Geena Davis Institute on Gender in Media and Lyda Hill Foundation, at the Writers Guild of America West in Los Angeles . 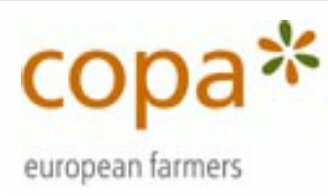 16 October – COPA Innovation Award for Women Farmers 2018 (Brussels): On 16 October, Ms. Cheryl Miller, DLI Founding Director, gave a presentation about the Women Entrepreneurship Platform at the COPA Innovation Award for Women Farmers 2018, taking place in Brussels on 16 October. 18 October – d-Lab Roundtable at Biennal Open City (Barcelona): On 18 October, Ms. Cheryl Miller, DLI Founding Director, contributed to a Barcelona Mobile World Capital panel discussion on “Empowering Women in the Tech industry” in the context of the Biennal Open City festival of the Ajuntament de Barcelona. The panel was part of a celebration of winning projects for the 2018 d-Lab challenge. 18 October – #SheDIDIT Coaching Event (Berchem, Belgium): As part of the #SheDIDIT campaign by Markant VZW, on 18 October in Berchem, Belgium, Ms. Cheryl Miller, DLI Founding Director, contributed to a coaching event for women entrepreneurs. Ms. Miller was chosen to join the #SheDIDIT campaign with six other “leading ladies with roots outside Belgium,” whom the campaign will promote as role models for youth and the Flemish community at large. In celebration of International Women’s Day 2017, the Digital Leadership Institute will organise several exciting activities across Europe promoting “women and girls in STEM*”. 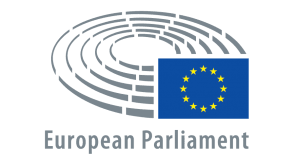 In Brussels, DLI will lead an invitation-only visit with Ms. Vera Jourova, European Commissioner for Justice, where several young women — including Ms. Manon Van Hoorebeke, 2014 European Digital Girl of the Year — will share about their experiences and aspirations toward studies and careers in STEM sectors. 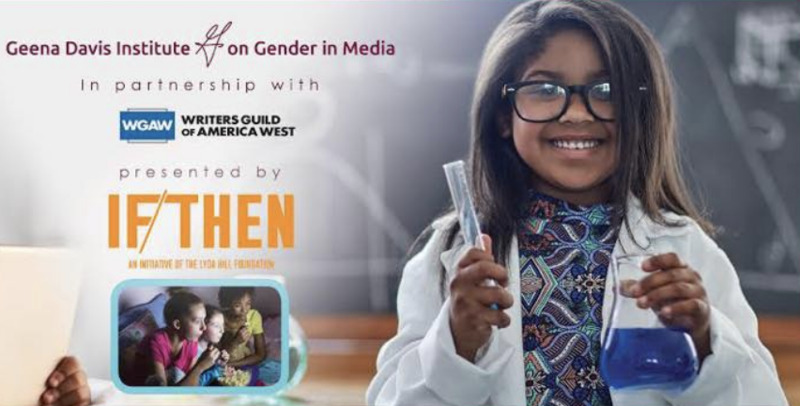 In Dublin, Ms. Cheryl Miller, DLI Cofounder, will give a talk on “Be Bold for Change” as part of a day-long event organised by Amazon Web Services, in order to promote greater participation of girls and women in digital studies and careers. Ms. Miller will also author a special International Women’s Day opinion piece on “the digital gender divide” for General Electric‘s GE Reports, read by three million people annually. 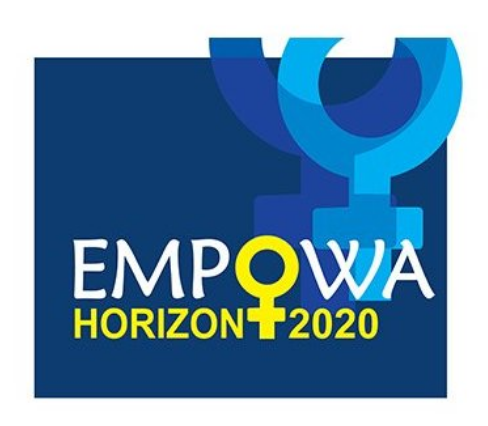 In collaboration with the European Commission and European Parliament, Ms. Miller will also moderate an International Women’s Day event on “Women’s Economic Empowerment” that will feature keynotes and panel discussions by European thought-leaders, including renowned French nuclear physicist Hélène Langevin-Joliot, granddaughter of Marie Skłodowska-Curie. Coming up on 29 April 2017, DLI will organise its second “Girl Tech Fest” promoting ESTEAM** skills for girls, for which we welcome inquiries by potential partners, workshop leaders, volunteers and sponsors. 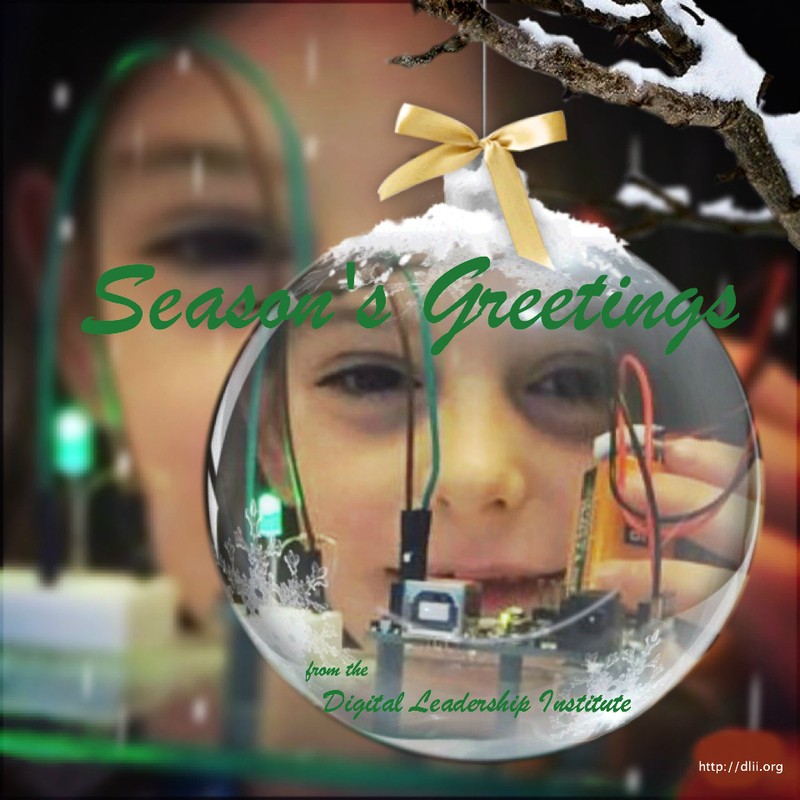 Other DLI activities supporting our mission of inclusive digital transformation may be found on the DLI Calendar and Upcoming Activities pages. 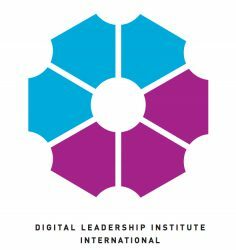 Banner Year for DLI: In 2016, the Digital Leadership Institute directly reached over seven hundred girls and women with hands-on workshops and role model activities aiming to improve their ESTEAM* skills and promote their participation in strategic, innovative sectors of the economy — as creators, entrepreneurs and leaders. We thank you for your support of DLI in 2016 and, with your help, we look forward to positively impacting the lives of more girls and women in 2017! Support DLI in 2017: If you would like to support the ongoing work of DLI to promote inclusive digital transformation, which is reaching some of the most under-served communities in Europe, please consider donating to our institute or supporting us in other ways in the coming year. US-based organisations can make a tax-deductible donation to DLI here. Do not hesitate to contact us for more information on how to get involved. Upcoming Events in 2017: The following DLI events are coming up in 2017. To keep up with the rest of our events, please visit our calendar or sign up for the DLI Newsletter. 1 February – Launch of CYPRO Cybersecurity Cohort #2: Cyber professional training and job placement program for experienced women. Please contact us for more information. 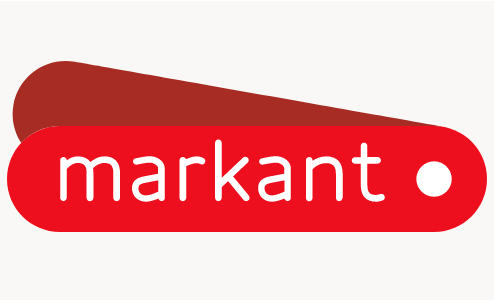 11-12 February – inQube Move It Forward for Women in Media: Female digital starters weekend as part of Startup Europe Week 2017, at the Creative District Ravenstein Coworking Space in Brussels. 29 April – Digital Muse Girl Tech Fest Brussels 2017: In celebration of International Girls in ICT Day 2017 at the European School of Brussels IV. 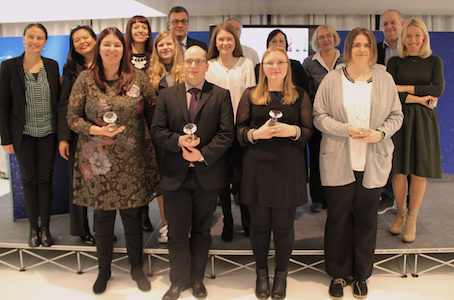 Update November-December 2016: On 8 December 2016 in Brussels, the Digital Leadership Institute celebrated the 2016 European Ada Awards recognising top girls and women in digital fields in Europe, and the organisations that support them. The event was hosted by GE Garages in the context of European Vocational Skills Week 2016, and supported by top decision-makers from public and private sectors across Europe, including Belgian Deputy Prime Minister Alexander De Croo, Ms. Eva Paunova, Member of European Parliament, and Ms. Beata Stelmach, CEO of GE Poland. 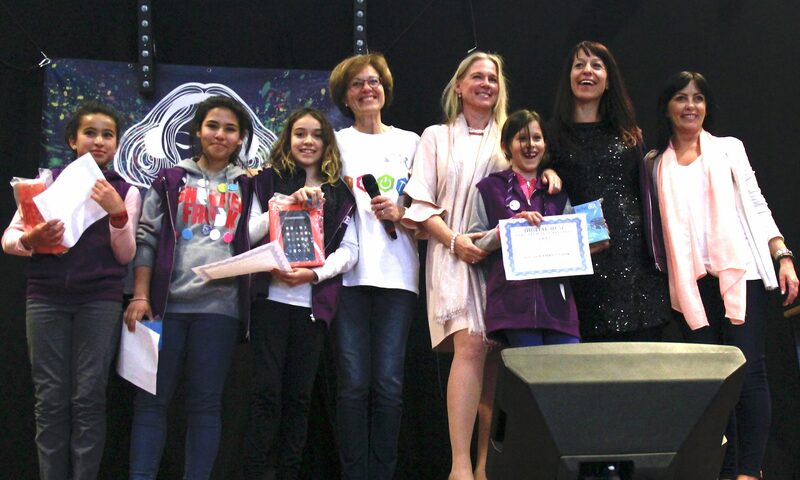 DLI and its partners awarded the 2016 European Digital Girls of the Year, Digital Woman of the Year, and Digital Impact Organisation of the Year. The DLI Board and Executive Team are actively involved in initiatives with partners and stakeholders around the world that promote ESTEAM* leadership by girls and women. Find out below about our work in November and December 2016, learn here about future activities in which we are involved, and visit our calendar for upcoming events organised by DLI. 8 November – “Promoting Digital Skills for Girls” Webinar: Ms. Cheryl Miller, DLI Cofounder, was a special guest for an 8 November webinar on “promoting digital skills for girls,” hosted by the Innovation in Education Unit of the European Commission’s Directorate General for Education, Art and Culture. 17 November – “Enterprising Women in Tech” WeHubs Closing Event (Brussels): On 17 November in Brussels, Ms. Cheryl Miller, DLI Cofounder, judged the final pitch competition and contributed to an expert panel on “best practices in promoting female entrepreneurship,” in the context of the closing event of the WeHubs project for women web entrepreneurs in Europe. 21 November – “Make America Great Again” – Debaets Debates (Brussels): On 21 November in Brussels, Ms. Cheryl Miller, DLI Cofounder, joined a high profile public debate on the topic of “Make America Great Again” hosted by Ms. Bianca Debaets, State Secretary for the Brussels Capital Region, and moderated by Mr. Rik Van Cauwelaert, journalist for De Tijd. 23-24 November – “Helping Europe’s Entrepreneurs Reach New Heights” 2016 SME Assembly Slovakia (Bratislava): On 23-24 November in Bratislava, Ms. Rosanna Kurrer, DLI Cofounder, contributed to a high-level roundtable on “Entrepreneurship Education” at the European Commission’s annual SME Assembly, taking place as part of the Slovak Presidency of the EU Council. 29 November – Think Digital “Shaping the Digital Future of Europe” (Brussels): On 29 November, Ms. Cheryl Miller, DLI Cofounder, moderated an expert panel on “Shaping the Digital Future of Europe,” including Belgian Deputy Prime Minister Alexander De Croo and Ms. Kaja Kallas, Member of European Parliament, which took place at Egmont Palace in Brussels as part of the first Think Digital summit. 1 December – A Journey into European Factories of the Future (Graz, Austria): On 1 December in Graz, Austria, Ms. Cheryl Miller, DLI Cofounder, delivered a closing keynote on the topic of “Industry 4.0” for the event “A journey into European Factories of the Future,” organised by SFG. On 25-26 April in Brussels, in honour of 2016 International Girls in ICT Day, the Digital Leadership Institute is proud to partner with the European Centre for Women and Technology and others to organise the very first European Celebration of Women in Computing, Europe’s largest #WomenInTech event ever! ECWC16 will take place at the Proximus Lounge in Brussels, and aims to bring together industry practitioners, policy-makers, digital society decision-makers and young and experienced women pursuing studies and careers in digital fields. DLI Tribe at ECWC: DLI has the distinct honour of offering free or deeply discounted access to ECWC16 for up to 100 young and adult women. Please sign up to express your interest in benefiting from #DLITribe status at ECWC16! 25 April – Best Practices Session on “Getting more girls and women into digital studies and careers in Europe”: Ms. Cheryl Miller and Ms. Rosanna Kurrer, DLI Cofounders, will organize a special Best Practices Session, 14:30-17:30 on 25 April (Calypso hall) at ECWC16, with participation of representatives from the European Commission, Amazon Web Services, Google, IBM, Cisco and SAP. 26 April – Closing Plenary Panel on “The role of media in getting girls into STEM studies and careers”: Ms. Cheryl Miller, DLI Founder and Executive Director will moderate a high-level panel on media at 13:45-15:00 on 26 April (Auditorium) at ECWC16, with participation of Ms. Terry Reintke, MEP, and young representatives of STEM educational programs from across Europe. Network and connect with Europe’s largest community focused on building the digital future and guaranteeing the place of women in it. *anyone who identifies as a woman. 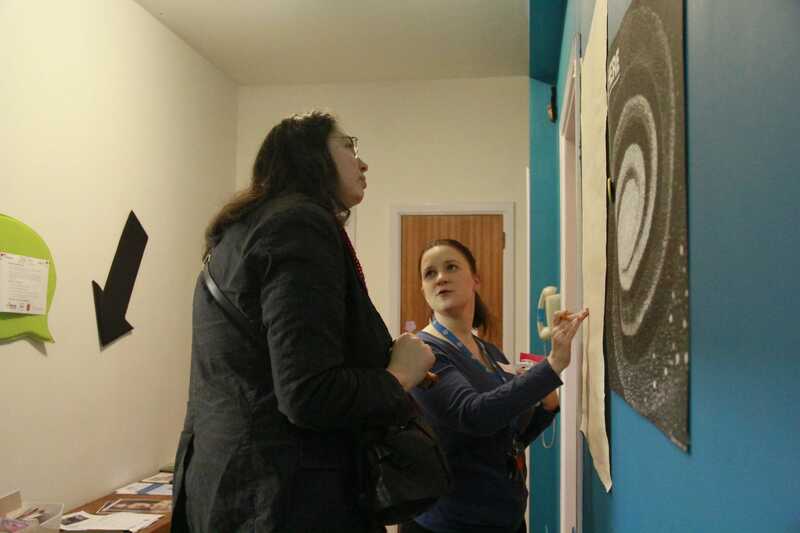 Partners and Participants: If you would like to be involved as an organisation or individual in any of the DLI activities or in the wider ECWC16 event, please contact us! 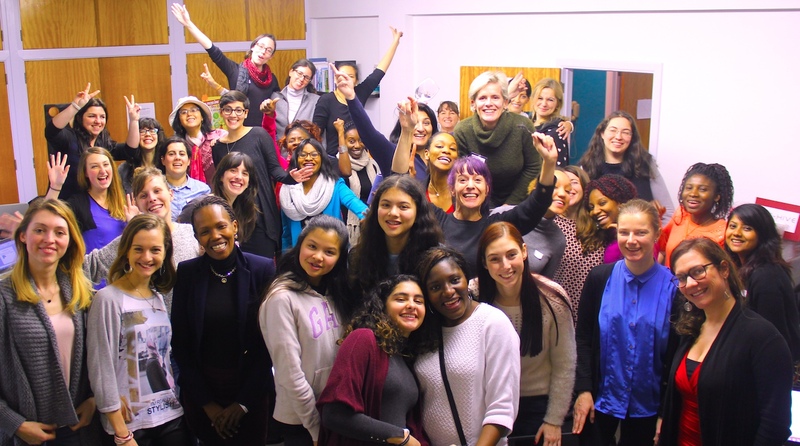 On 23-24 January, forty young and adult women gathered at DLI’s inQube space in Brussels to develop websites and smartphone applications, and to launch their own enterprises to tackle cyberviolence and promote online safety for girls and women. Participants of the first-ever Move It Forward Brussels female digital starter weekend — organised by DLI and subsidised by the Brussels Capital Region — came from across Brussels and around the world, to improve their tech skills and try their hand at entrepreneurship. Attendees of Move It Forward Brussels, from 14 to 54 in age and representing upwards of twenty-two nationalities, dedicated an entire weekend to learning digital and entrepreneurial skills taught by DLI and its worldclass technology partners, including Tableau Software, Amazon Web Services, WordPress and AppInventor. With the help of a dedicated and talented team of coaches, participants developed innovative projects that they presented to a jury on Sunday evening for top honors. 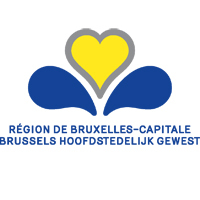 Jury-members included Ms. Maité Morren, Councilmember for Ixelles responsible for ICT, and representatives from European Schoolnet, Child Focus Belgium, DLI and AWS. The two-day Move It Forward Brussels initiative kicked off on Saturday morning with a keynote presentation by Ms. Ellen Van den Berghe, 2015 Young ICT Lady of the Year in Belgium, and closed with an inspiring talk by Ms. Terry Reintke, Member of European Parliament who recently authored a report on Women and the Digital Society. Top awards for the weekend were presented to ENAC, Detrolled and iCompassion-Ubuntu, each promoting a unique approach for addressing cyberviolence against girls and women. All winning teams receive several months’ inQubation and startup coaching at DLI and free membership for one year on the Amazon Web Service platform. Each member of the Overall Best project team also received Amazon Fire tablets. In addition, several follow-up workshops are already planned to allow inQube community members to further develop the digital and entrepreneurship skills they started learning at Move It Forward Brussels. Organisations across Europe have expressed interest in organising Move It Forward events in their own cities, and future plans for the Brussels inQube community include taking on additional challenges faced by Europe’s girls and women, including immigration and asylum-seeking, health and nutrition, media portrayal, etc. Please contact us if you would like to learn more about the Move It Forward initiative, to partner with DLI/inQube, and/or to organise a Move It Forward event in your city! 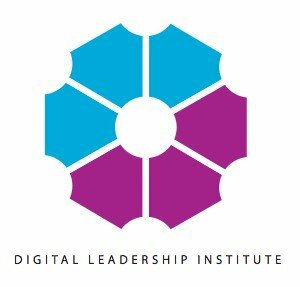 The Digital Leadership Institute closed out 2015 in style. 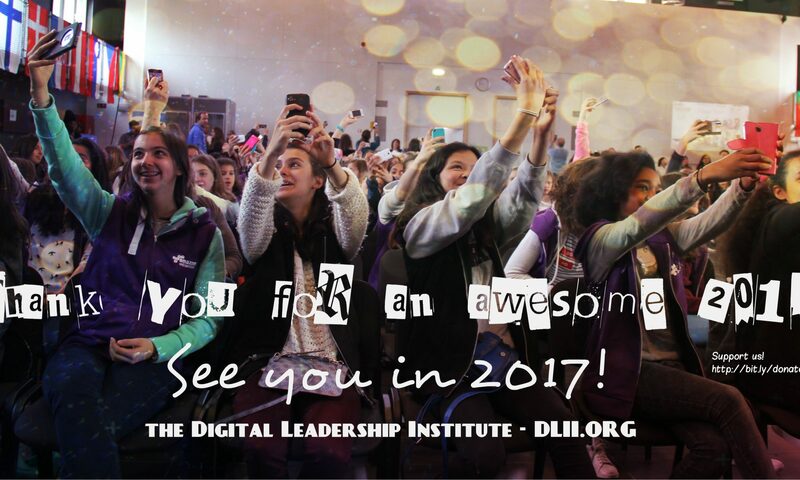 After organising twenty events reaching over 500 girls and women in only ten months as Europe’s first female digital innovation center, the DLI team, along with you, is ready to tackle another fabulous year with even greater ambitions! But first, let’s take a quick a look back on the final weeks of 2015 — highlighted by DLI founder, Cheryl Miller, becoming a small-time Spanish celebrity after a video interview with Vodafone was carried in El Mundo, one of Spain’s largest newspapers! 😉 Check out the video, and the rest of our December 2015 news, here! 7-8 December – GAMAG Europe Launch (Geneva): As part of the International Dialogue on Gender Equality in the Media, DLI Founder, Ms. Cheryl Miller, contributed to the incorporation meeting for the Europe region of the UNESCO-supported Global Alliance on Gender and Media, which took place at the UN Palace of Nations in Geneva, Switzerland. Read our article and press release about this ground-breaking event here. 9 December – Women Entrepreneurship Platform Lunch Debate & General Assembly (Brussels): DLI Cofounder, Ms. Rosanna Kurrer, contributed to a WEP Lunch debate on the topic of Digital Networking hosted at the European Parliament Members’ Salon by Ms. Sirpa Pietikainen, Member of European Parliament. The lunch debate was followed by the first annual general assembly of the WEP membership. 9-10 December – GAMAG First Assembly (Geneva): Ms. Cheryl Miller, DLI Founder, joined the first General Assembly of the UNESCO-supported Global Alliance on Gender and Media, which took place at the UN Palace of Nations in Geneva, Switzerland on December 9-10. Read our article and press release about this ground-breaking event here.